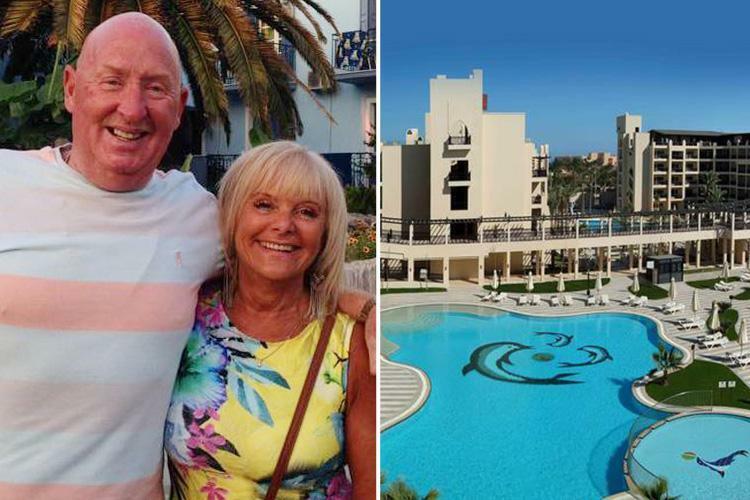 John and Susan Cooper died after falling ill at the Steigenberger Aqua Magic Hotel in the Red Sea resort of Hurghada on August 21. The governor of the Red Sea region, Major General Ahmed Abdullah, told reporters “there was a strange odour in the room” where the couple died. The couple's daughter Kelly Ormerod previously said there was a "funny smell" in their room, which they used perfume to cover up. 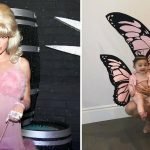 The 40-year-old had been on holiday with her parents and daughter. She said her child went to her grandparents' room after they all went for a family meal together. She told the BBC: "My daughter said they could smell something that was a little bit funny that wasn't right. "All they did was spray a little bit of perfume to try to eliminate the smell." Kelly said she went to check on her parents when they didn't come down to breakfast the following morning. She found the couple were seriously ill and recalled seeing her dad "staggering back to the bed". Kelly added: "While I was on holiday, a lot of people got the Egyptian tummy, they didn't even get that. "The evening before we went to bed, we were all having a lovely family meal and they were fit and healthy." Kelly said two doctors came to see John at the hotel. She added: "They didn't really see to Mum because they could see that Dad was more ill and he took priority. "They tried basically to save his life and they couldn't – they did CPR on him but nothing could help him, nothing could save him. "Mum had no idea what was going on – she was oblivious to what was actually happening because she was so poorly." Susan, 64, was taken to hospital where she later died. Kelly said: "I don't think it was specifically an individual's fault for the deaths. "I think when they went back to that room that evening there was something in that room that's actually killed them – whether they've inhaled something that poisoned them, I don't know. "I can only have my opinion on what's gone on, but there's something that happened in that room that killed my parents." Meanwhile, the family face an agonising ten – day wait before finding out why the Coopers died. Thomas Cook's chief executive Peter Fankhauser said the company was doing "everything" to support the pair's grieving relatives, but stressed there was "no evidence" the couple were poisoned by carbon monoxide. He told Sky News: "We have no real evidence what caused the deaths, but what I can promise is at Thomas Cook we are doing everything to support the family and to support the Egyptian authorities… to get to the bottom of it and to get to the cause. "There is no evidence that it is a carbon monoxide poisoning. We have no evidence but I don't want to rule out anything before I really know the cause." News of the agonising wait came after Kelly travelled to the Egyptian resort town of Hurghada to confront officials. She met Governor Ahmed Abdallah- only to be told her parents' deaths were "normal for an old Englishman and his wife". Today, tourists who chose to cut short their holidays – because of the tragedy – touched down at Manchester Airport. It has also emerged that almost 200 people have lodged sickness complaints against the Thomas Cook resort where John, 69, and Susan, died. The tour operator is widening the probe into the deaths of the couple, who died within hours of each other. Authorities claim they died of "heart and respiratory failure", but Kelly maintains "something suspicious has gone on". She arrived back at Manchester Airport with her three children this morning, flanked by staff from Thomas Cook. A spokesperson at the airport told MailOnline: "We needed to give the family privacy so they were taken out of a private door. It is such a difficult and tragic time for them and we wanted to make sure there were no cameras around. "Kelly definitely won't be giving any interviews." Armed police patrolled the airport arrivals hall and security guards stood outside as grieving Kelly and her children disappeared into a taxi. The family were driven 45 miles back to their home in Burnley, Lancashire, which is just a mile from the house of her parents. In Egypt, Governor Ahmed Abdallah offered her his condolences but in an earlier statement branded the couple's deaths "normal' for an 'English old man and his wife". The minister of tourism, Rania Elmashatt, also called the grieving daughter to convey her condolences. Around 300 Brits — many who also say they were ill — have been moved from the all-inclusive Aqua Magic Hotel in Hurghada. One holidaymaker who was sick shared a photo of raw chicken he says the hotel served him. And a food scientist revealed a “long history” of concerns about the hotel. Richard Conroy, owner of the UK’s largest holiday sickness compensation firm SickHoliday.com, said his firm alone had lodged 195 claims against the hotel since 2014. Of those, 174 related to holidays organised by Thomas Cook. Mr Conroy said: “Sadly this hotel has a long track record of holiday sickness claims being made against it over a number of years. Angela and Tony from Love After Lockup: Where are they now?